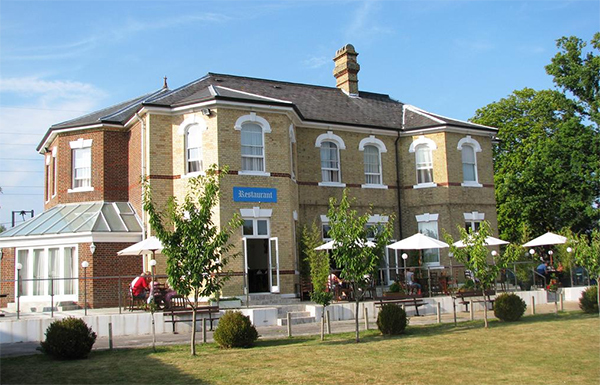 The Travelodge Gatwick Airport Central is a large hotel offering cheap budget priced hotel and parking deals combining a night at the Travelodge Airport Central Hotel with long term parking at a leading off-airport car park. Travelodge has always been a favourite of UK families offering family rooms at the same price as a standard double/twin bedroom, the kids using pull-out / sofa bed style beds. A large Tesco Extra supermarket is just 5 minutes' walk from the Travelodge Gatwick and a 15 minute walk or short local bus ride is Horley town centre with an abundance of restaurants, pubs etc. Car parking options offered are at Purple Parking off-airport car park. You drive to the Travelodge and park in the car park overnight - there is an overnight parking fee (the hotel do not own the car park, so cannot waive the charges). The fee was last advised as £15. In the morning, you'll take your car to Purple Parking, a secured car park three miles from the airport, where it will stay while you're away. Purple Parking run frequent full size complementary shuttle buses to and from both terminals at Gatwick. On your return the Purple Parking transfer bus will pick you up outside the terminal and take you back to the car park. Rooms: Standard rooms feature king size bed, blackout curtains, Freeview TV, desk and bedside USB charging points and modern en-suite bathroom. SuoerRooms offer added comforts including Lavazza capsule coffee machine, powerful Raindance showers, a choice of firm or soft hypoallergenic pillows, hair-dryer, iron and, ironing board. Internet: free wi-fi for the first 30 minutes is available in rooms. After this it is £3 for 24 hours. Gatwick bar/cafe. The restaurant serves an all you can eat breakfast from 6am. Dinner is an evening buffet and a snack menu is also available.